A man has been jailed for more than five years for supplying Class A drugs in Norwich. Lemar Dumetz, aged 24 and of Peabody Hill in London, was sentenced at Norwich Crown Court on Friday 22 March 2019 after pleading guilty at an earlier hearing. A second man, Justin Key, aged 43 and of Blazer Court in Norwich, was also sentenced for obstructing a drugs search. The court heard how officers forced entry to an address in Lothian Street in Norwich on Thursday 12 October 2017 after Key refused to allow officers inside. Key was arrested whilst Dumetz was found trying to escape from an upstairs window. Officers seized cannabis and following a search of the property a bag containing approximately £13,000 worth of Class A drugs was discovered in a tree outside the window where Dumetz was found. Dumetz was sentenced to five years and three months in prison for possession with intent to supply crack cocaine and heroin. Key was given a conditional discharge for two years for obstructing a drugs search. 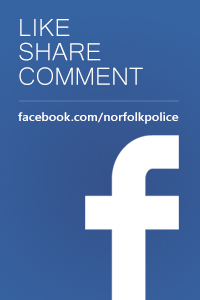 Sergeant Tony Lester from the Norwich Neighbourhood Policing Team said: "We were alerted to this address following concerns the occupant was being cuckooed by a drugs group. Cuckooing is a tactic used by those involved in County Lines drug dealing to target vulnerable members of the community and use their homes as a base for drug supply. "This case highlights that officers in Norwich are not only committed to targeting those involved in supplying Class A drugs in the city, but also to identifying those at risk of being caught up in this kind of criminality. "Today's sentence means that Dumetz cannot target vulnerable members of our community in the future and we have also prevented a significant amount of drugs from reaching the streets of the city."